If you are looking at affordable housing options amidst all urban residential amenities, Dehiwala is the ideal place to look at. Located next to Colombo, the commercial city in Sri Lanka, Dehiwala is an equally developed, commercial as well as residential city, with close proximity to every prime location, this city offers all property seekers a good run for their money. The city of Dehiwala is home to about 245,974 people (2012), and is known to be the second largest municipality in the country. Some of the significant sights include the National Zoological Gardens, which remains one of Asia’s largest, Colombo South Teaching Hospital and the Ratmalana Airport. However, this is not the only reason why Dehiwala stands out to be an important region for property seekers and investors. For example, this region is one of the few municipalities in Sri Lanka, that’s directly connected through railway lines through the main root which links Colombo with the coastal cities in the south. It passes right through this zone making this a hub that unites the countries commercial capital with the southern part of Sri Lanka. 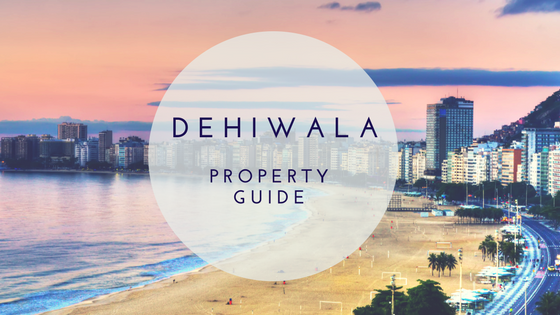 In addition to that, Dehiwala is known to offer a plethora of property options for buyers, sellers, renters and investors at a wide range of prices. Even though the most popular type of property in the city is recognized to be houses for sale/rent, the city is also home for apartment complexes by leading developers like Green Star city and Onyx Residencies. As we mentioned above, the type of property that can be acquired easily are house for rent and sale. These houses are built to occupy both Single Families as well as Multi Families. However, depending on the buyer’s requirement, you can also obtain Annexes and Villas. When looking at properties within Dehiwala, it is easier to look for rental options mainly due to its lower price and convenience. Therefore, if you are employed within the Colombo region, this zone is ideal for your needs. Property prices here varies depending on the facilities each property provides. This involves features such as security, private parking, swimming pool, and Easy Access to Supermarkets, Banks, and Fast food. However, in general, the average property price levels of Luxury homes for sale in this vicinity with the above-mentioned facilities, would range between LKR 45 to LKR 50 million. A mid-range house for sale shows an average price of LKR 10 to LKR 15 million. If you are planning to rent a house, a Luxury house for rent indicates an average price of LKR 100,000 to LKR 120,000 per month and a mid-range house for rent specifies a price of LKR 20,000 to LKR 30,000 per month. Living in an apartment in one of the most developed cities in Sri Lanka, is undoubtedly an acceleration to your living and social standards. This could be one of the main contributing factors to the rapidly growing demand for vertical living within the city. Given that the city is equipped with all sorts of modern facilities, be it commercial or residential, investing in an apartment is with no surprise a lucrative investment. If you are considering to purchase an Apartment in Dehiwala, a Luxury apartment with features such as a gymnasium, swimming pool and the latest security systems, will cost you an average of LKR 20 million to LKR 25 million. Moreover, a monthly rental price of LKR 120,000 to LKR 130,000 can be considered as an average price for the same category of apartments. Mid-range apartments for rent here indicates an average monthly rental price of LKR 40,000 to LKR 50,000 and mid-range apartments for sale specifies an average price of LKR 13 million to LKR 15 million. Overall, Dehiwala is an ideal location for those from all walks of life. Facilities such as a safe neighborhood and access to some of the leading schools, shopping centers, railway station and direct transportation links makes this zone the perfect living location whether you are looking for short term residency or even long term residency.